The stock summary reports shows the total qty of products in different locations. To view the stock summary report, go to the "Inventory" menu, then click "Stock Summary". 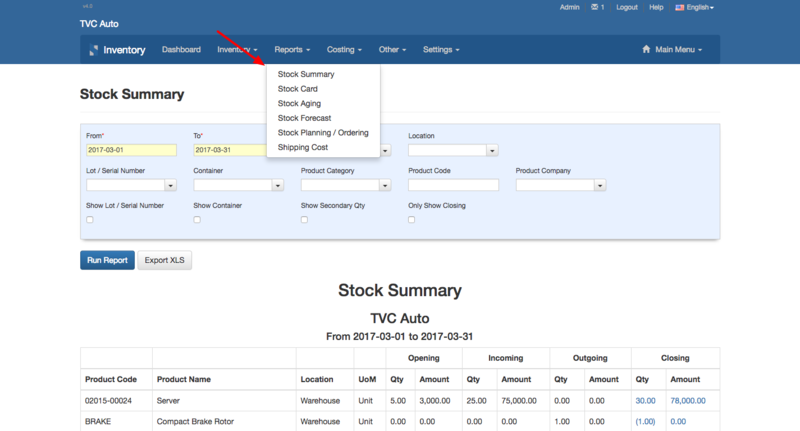 The report can be filtered by product and location by filling the "Product" and "Location" fields and clicking "Run Report".